Great complete dental care service. Appointments are easy to get done and the staff are knowledgeable and competent. Love the cleanings and maintenance received and the friendly atmosphere. Michelle and Ansley/ Ashley was very professional and great. Since coming to Higginbotham, teeth cleaning has been so easy. They text you about appointments to remind you. I’m in and out in no time. Jennifer is great and is very professional and remembers me. Michelle in billing has been easy to deal with and I never get charged later like so many doctors offices. 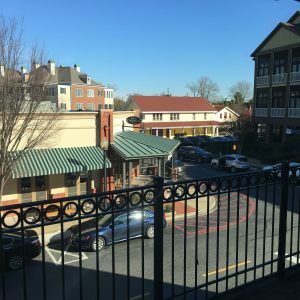 Living downtown, it’s nice to have a convenient location in Harbor Town with easy parking. In Memphis, you never know what to expect, walking into a place for the first time, I’d recommend this place to anyone. 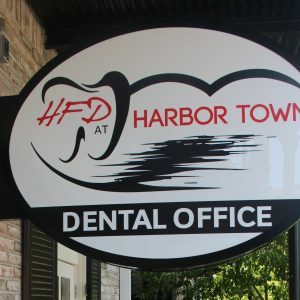 Absolutely love the Harbor Town office! Staff is always helpful friendly. Any time I have questions or issue I can give Michelle a call and she helps me out every time. Keep up the amazing job! This place is the coolest office you will go to. The staff is very nice and professional. Jenny is my hygienist and she does a great job every time. She truly is the best. I have always had a great experience and I refer them to everyone I know. I absolutely love this dentist office. The staff are friendly and they make sure that you are seen at your appointment time. I’ve never had to wait more than 10 mins to be seen. The thing I love most is their massaging chairs!! 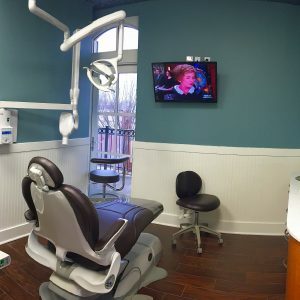 You can watch TV and get a chair massage while getting your teeth clean!! That’s awesome...... I had my teeth cleaned by Jennifer today. She rocks! The staff member make you feel very welcome and they are friendly. The staff members are very professional, no longer waiting time to be seen,and they also give you the best knowledge about your dental health. They take pride in their work thumbs up! I will be visiting them again real soon. THANK YOU for your service. Higginbotham Family Dental is such a friendly environment. Shanna is always very welcoming when walking through the doors. Jennifer and KB are excellent on hygiene and always have smiles on their face. 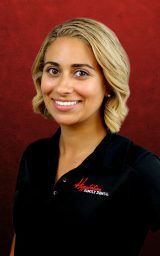 Michelle is very helpful with finances and always willing to help make sure your visit is pleasant. 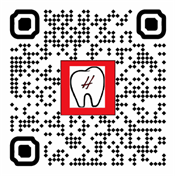 I highly recommend HFD to be your dental home!! Once again, another exceptional visit at Higginbotham Family Dental. Jennifer is such an amazing hygienist and always has my mouth feeling spotless at the end of her cleanings. I can’t rave enough about the friendly staff and professional atmosphere! Looking forward to my next visit. The staff at Higginbotham were so nice and welcoming. The massage chairs were also a great touch! It made the appointment much more comfortable. Both my hygienist (Jessica) and dentist (Dr. Ellison) were very kind and did an amazing job. 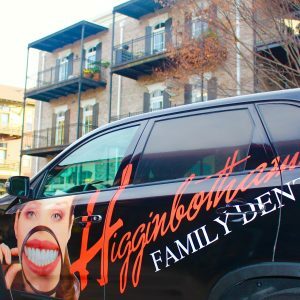 I highly recommend Higginbotham Family Dental to everyone!! My first visit was amazing and I will return! I’m from MS and went to the same dental office for twenty-five years. Now that I live in Memphis, I had to find a new dentist. I hoped to find a dental office with the same professionalism, positivity, and homeliness as my previous one. Higginbotham Family Dental fit that description to a T. Upon entering the office, I was greeted with a smile and warm “hello”. Since I filled out all the appropriate documentation online, I only had a three minute wait in the waiting room. I was escorted to my room and everyone was so friendly and professional! Dr. Fitzhugh, Michelle, Sheri, Jennifer, and Katie (Hate that I’m not 100% on Katie’s name; she was sooo enthusiastic and nice!) were a dream team! They took care of all my needs, and in a timely manner. Such a great experience with only the second dental office that I have ever been to in my 33 years of living! Thank you so much, Higginbotham Family Dental! I will see you again in six months! The staff is wonderful! They are always so pleasant and friendly. Michelle was very welcoming! Jennifer was attentive to all of my needs and even offered to change the channel on the television so I could watch my favorite show! I love the atmosphere. 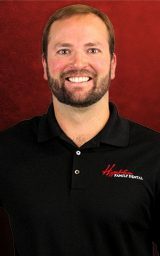 Dr. Hennis is very personable and extremely knowledgeable. They were a dream team and took care of all of my needs in a timely manner. I am looking forward to going back in 6 months for my next routine check up! It has been awhile since I’ve been to a dentist but from making the appointment to completing my paperwork and having my visit, everything went very smoothly. Shana helped get me situated for my appointment, and Kristin made x-rays a breeze. I saw Dr. Hennis and she was very welcoming and answered all my questions I had about my care. She made sure Michelle came back to talk with me about my insurance coverage and answer any payment questions. Jennifer was my hygienist today and she did a great job and sent me on my way with a smile. Thank you for making my first experience here so pleasant. Love the atmosphere of the office. Jennifer, my hygienist, made me comfortable and at ease prior to cleaning my teeth and prepping me for a cavity filling. Dr. Fitzhugh gave me an honest assessment of the status of my teeth and I felt no pain when he drilled with the assistance of Kathy. Michelle was cheerful and handled my financial transactions professionally. Strongly recommend. Michelle, Jennifer, and Dr. Fitzhugh were all super friendly and helpful! Probably one of the fastest and most thorough Dentist appointments I’ve ever had. Would definitely recommend them to anybody seeking dental work. Great location and friendly staff. Very professional and amazing experience. Jennifer was my hygienist and did a phenomenal job. Doctor Fitzhugh was the dentist that I saw was professional and knowledgeable during the interaction. Finally, Michelle, the financial coordinator that I interacted with was helpful with the referral program as well as answering any other questions i had about the practice and next steps. I would definitely recommend them to anyone that needs a dentist in Memphis. I was taken back promptly at my appointment time. The staff was friendly, helpful, and competent. Everyone seemed to work well together and there was a nice flow to the time I spent there. I had to have some fillings, the price was discussed, options were presented. I chose to stay and have them done and still left within 1.5 hours of arriving. I will happily go back to see them again. I was in Memphis for a work convention, and I had a throbbing tooth ache. Within 5 minutes of calling here, I had an appointment. Came in 30 minutes later and they patched me right up so I was able to feel comfort for the remainder of my trip. Notably, Brittney and Ashley L at the front desk were beyond helpful. They made this visit that much better! They were both terrific and extremely nice. 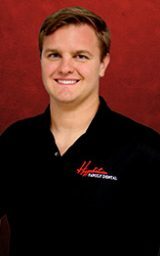 I recommend Higginbotham Family Dental to everyone! Brittney and Ashley L at the front desk were amazing, excellent customer service. Dr Ellison made us feel very welcome and cared for. I’ll be recommending this establishment to all my friends and family. I have never been to a dentist that has eased my anxiety like Dr. Katie Bell. Her patience and concern for her patients does not go unnoticed. I wouldn’t go anywhere else. The sweet ladies (Samantha, Brittney, TamBrella, and Ashley) were all awesome! So sweet and kind. I definitely give them all a five star rating! They are quick and thorough. 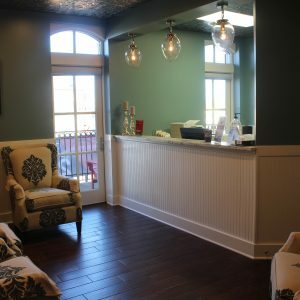 They have some of the friendliest staff I’ve ever seen which is always welcome considering the dentist isn’t typically the most exciting experience. Higginbotham can get you in for an appointment whenever you need it, without long waits, and will do a great job taking care of you! I was new to the Memphis area and looking for dentist. I had tried another dentist in the area but I wasn't satisfied with their services. 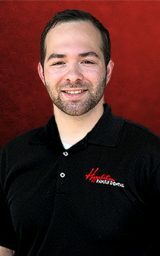 I found Higginbotham through my insurance and they had really good reviews. On my first visit, I was really impressed with their services and my husband said the same when he went in for his visit. I even recommend them to a co-worker that was looking for a new dentist and she had a positive experience as well. I have been using them for over a year now. Best dental experience thus far! I never thread going to the dentist. I had a great first experience. I'm fairly new to town and was in need of a regular cleaning. The office is nice, everyone is extremely friendly, and even with having to fill out all of the new patient paperwork, I was in and out in under an hour. With the massaging chair, I think I can safely say this was my most relaxing cleaning ever. Loved this place! Friendly and very knowledgeable about insurance plans. Went in needing to get a plan on how much it was going to cost to get some major dental work and they laid out the costs per visit and what needed to get done first. Came in nervous on how much this was all going to cost, but left having a plan that I could work with. Also, loved the massaging chairs! I was very pleased with my visit, I was greeted by Ansley and Shanna as I walked in the door. They were very friendly and helped me get checked in. Jennifer got me right back and did a very thorough job cleaning my teeth and Michelle was very professional and went over what treatment I needed to have done. 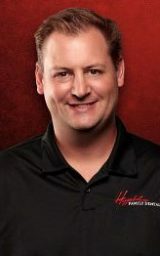 I highly recommend Higginbotham Family Dental, they treat more like family than a patient. 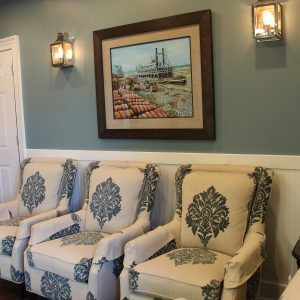 I have been a patient at Higginbotham Family Dental in Harbor Town for over a year now. Every time I go for a check up, I am greeted by smiling faces who call me by name. On my recent visit Michelle, my hygienist Jennifer, and my dentist Dr. Ellison completed my care. I was in and out in only a few minutes. The entire staff is friendly and has always provided above average dental care in my time as a patient. Thank you Higginbotham Family Dental! A clean office, friendly, knowledgeable staff, and pretty good prices. I would definitely recommend, and they have a good referral plan, too. I am always in and out quickly and they are always ready for me at my scheduled appointment time. We are proud to offer exceptional dental care for your entire family. Our team welcomes new patients with complete exams that include a cleaning and x-rays. While our goal is to help you take care of your teeth and prevent any issues, we do provide a complete array of restorative services. These include tooth-colored fillings, crowns, bridges, dentures and partial dentures. In addition, we offer dental implants and cosmetic dentistry services such as teeth whitening, porcelain veneers and metal-free crowns. Braces and complete smile makeovers are also provided to patients throughout Downtown Memphis, TN.